Gambian former President Yahya Jammeh has congratulated President Adama Barrow. Jammeh extended his felicitation in a message read on Gambian state TV over the weekend. “I hereby wish President Adama Barrow all the best from the bottom of my heart. 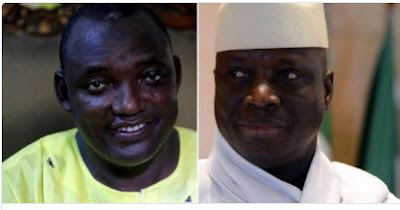 The Almighty Allah has decided, and I will be found wanting if I as a Muslim and a former president do not sincerely wish him and his administration all the best,” Jammeh said. He added: “For the welfare of all Gambians, anytime my advice and support is needed by President Adama Barrow, I am ready to offer him sincere advice and services.